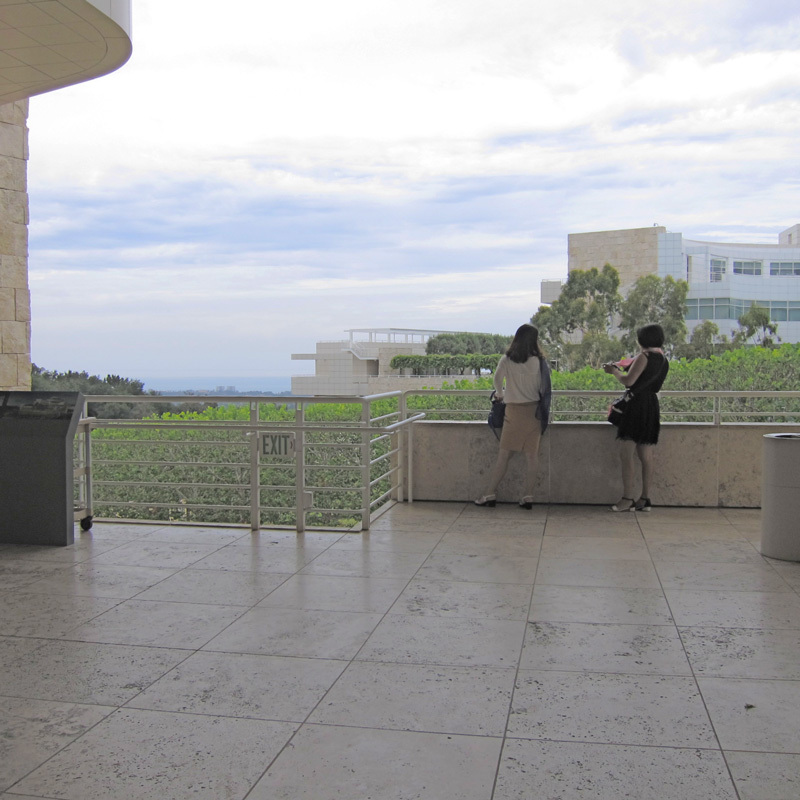 Visiting the Getty Center in Los Angeles was one of the high points of the season now ending. Although I’d read a lot about this museum and its architecture over the years, still I was unprepared for the aesthetic vision it embodies. I’d never been to a museum where the building and setting so overwhelmed the art that it housed. 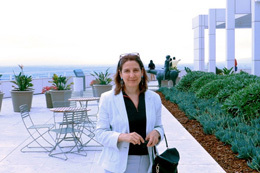 We all know that the Getty Center is a relatively recent creation of the J. Paul Getty Trust, and that the Trust, with an endowment of some $6.2 billion, is the world’s wealthiest visual arts institution. 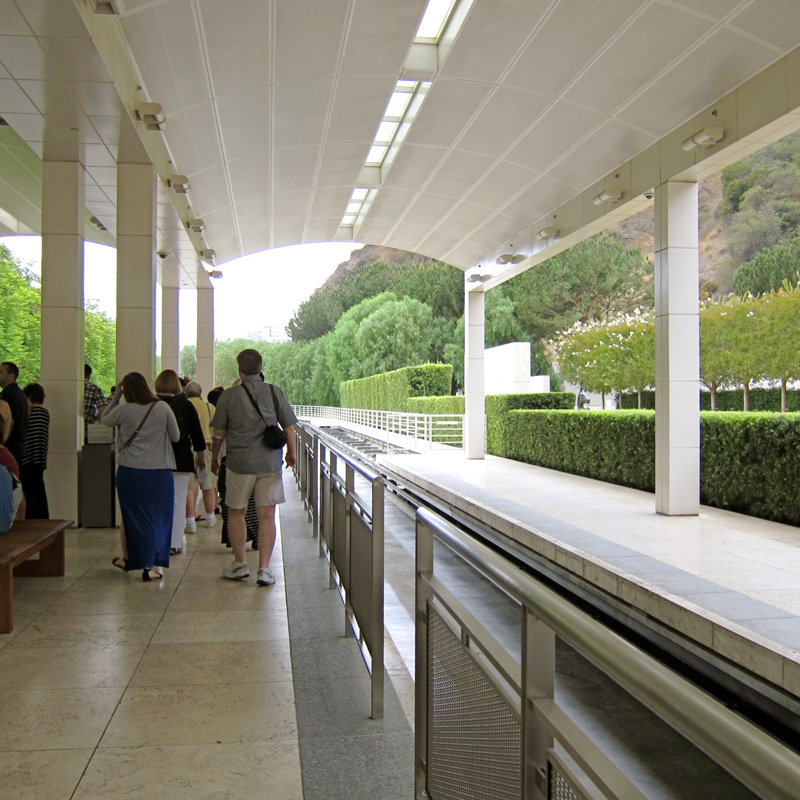 The Getty Center is the younger sibling of the Getty Villa in Pacific Palisades—the classical pavilion that J. Paul Getty had built in the 1960s to house his personal collection of art and antiquities. 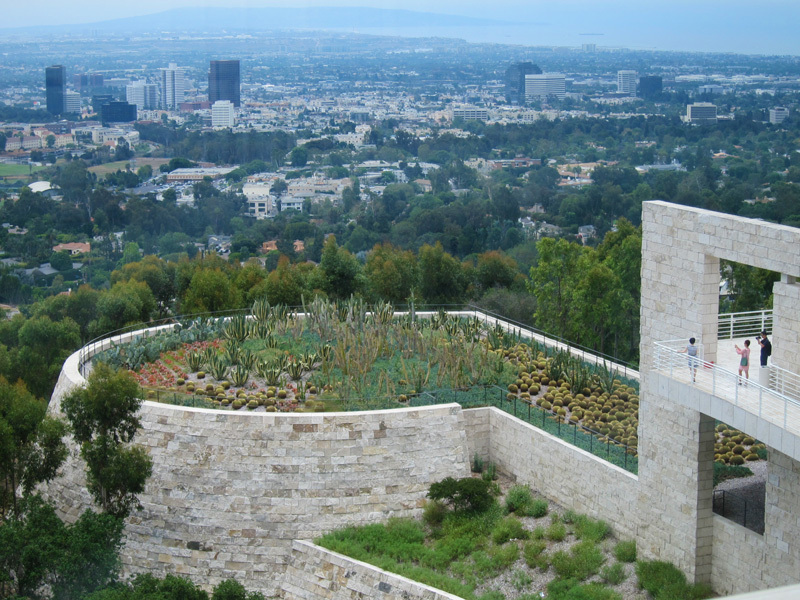 The Getty Center, nestled atop a mountain near Bel Air, opened its doors in 1997, by which time Getty had been dead some 20 years. Wealth frees the Getty Center from many of the constraints and worries that plague other museums. Transportation via tram up the hill to the museum, admission to the galleries, even audio tours are all free. 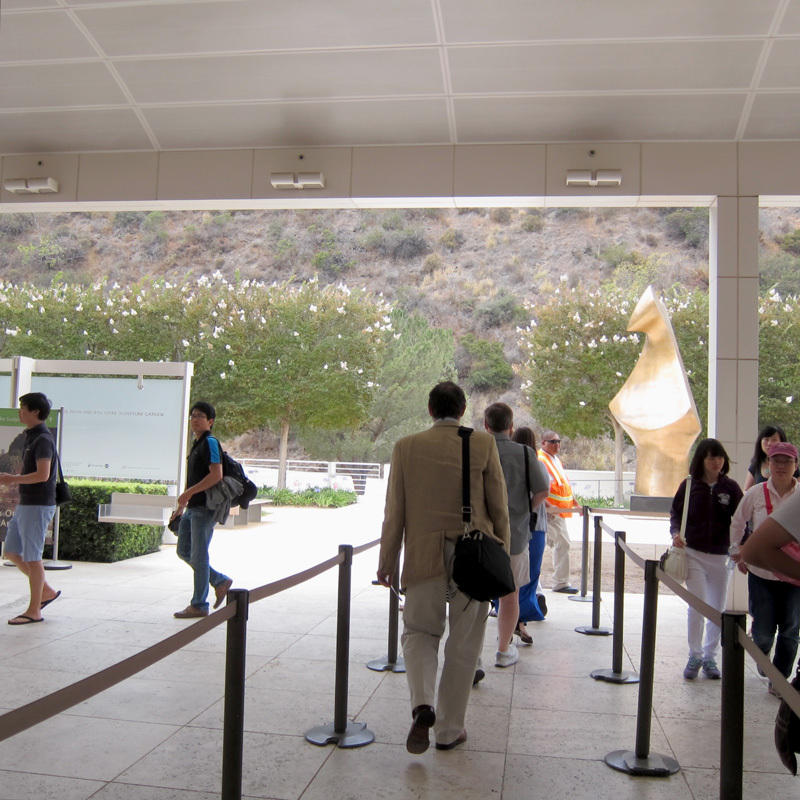 The Getty makes no effort to merchandise its art (its gift shop is minuscule) and has set up an ‘open content program‘ facilitating the sharing and circulation of digital copies of works in its collections deemed to be in the public domain or to which the Getty itself holds the rights. In short, its art is not treated as property. 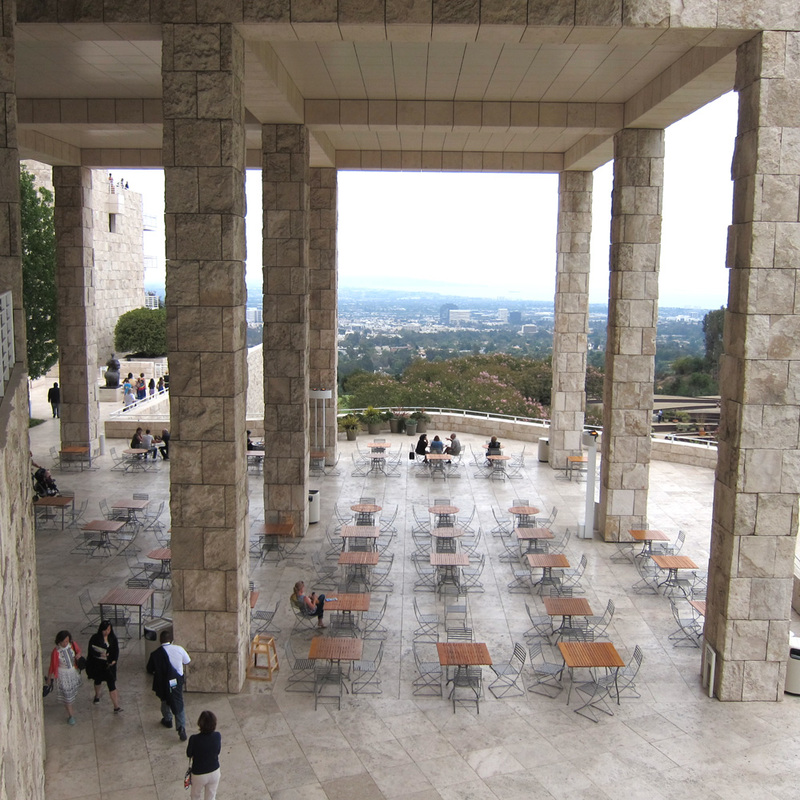 For these and other reasons, a trip to the top of Getty’s mountain has the character of an elevating journey. An unlikely one, too, for the visit begins in an unceremonious way, with cabs and cars circling an underground depot built into the bottom of a hill, where they disgorge passengers, as guards bark directions and urge them to keep moving. A growing crowd mills around a severely plain open-air pavilion, looking for someone to pay, and filing into line when docents tell them they are to wait for a train. The tram line and the gardens around it are elegant and spiffy. There is a perfectly straight row of blooming crepe myrtle trees outside. Metal gleams gold out in a sculpture garden that most of us are too excited and distracted to study. 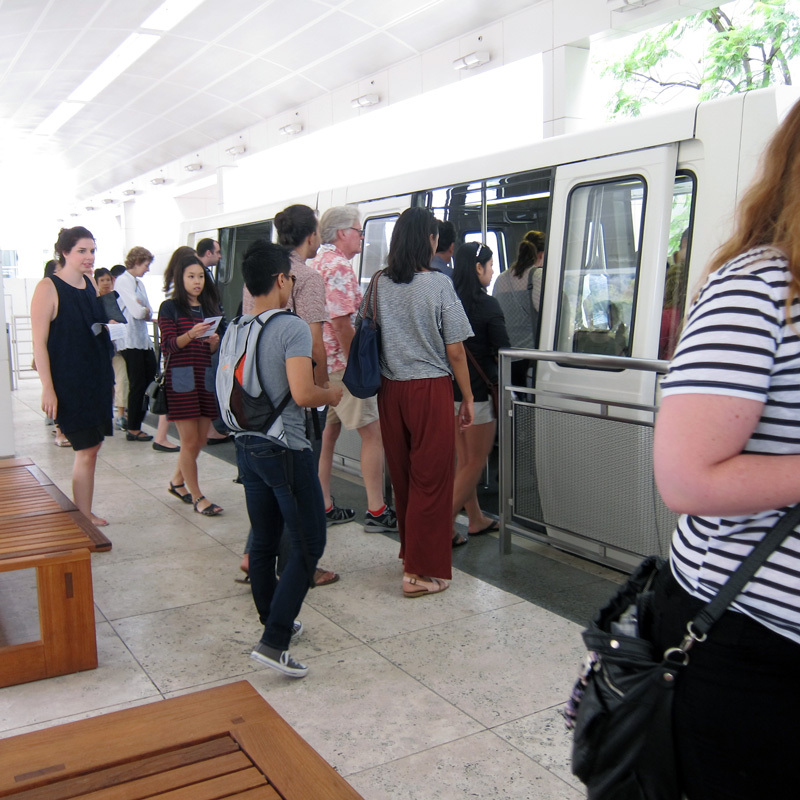 The train—a sleek pilotless funicular—arrives, and we all pile on. We ascend, snaking quietly up the steep side of a manicured mountain, as the adjacent highway and bland everyday world fall away. On foot now, visitors climb the broad stairs to the campus of monumental buildings. An oddly communal feeling prevails as fellow-travelers disperse to explore the grounds, galleries, and terraces of what architect Richard Meier seems to have conceived of as a modern temple complex. 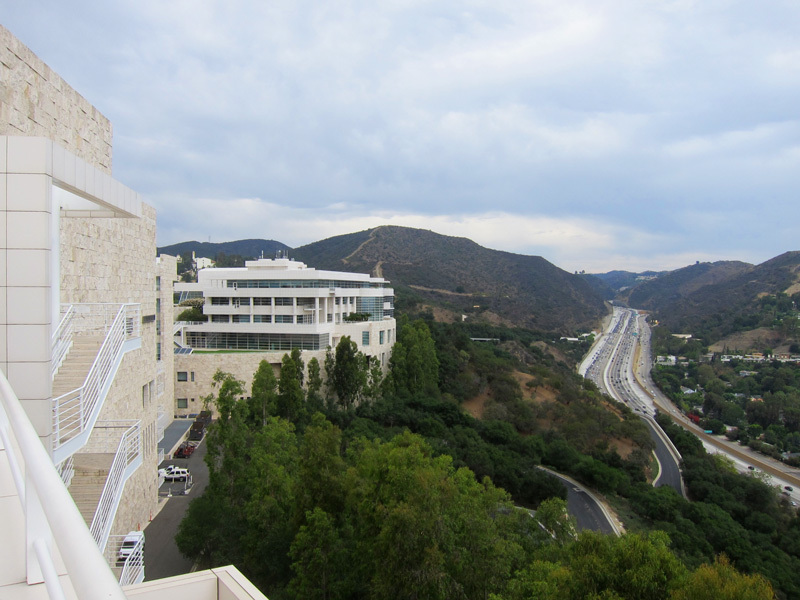 The museum, temporary exhibitions, Getty Research Institute, and the Trust’s administrative offices occupy several interlocking buildings that give onto courtyards, gardens, and walkways. 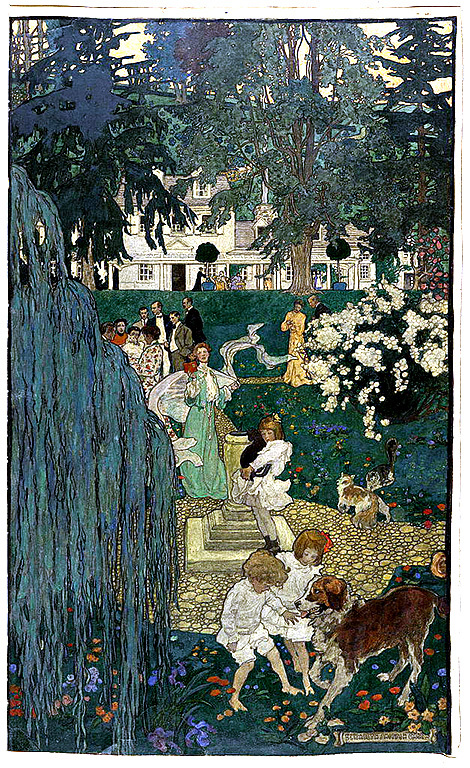 Everywhere are striking views of the landscape, gardens, ocean, and city. 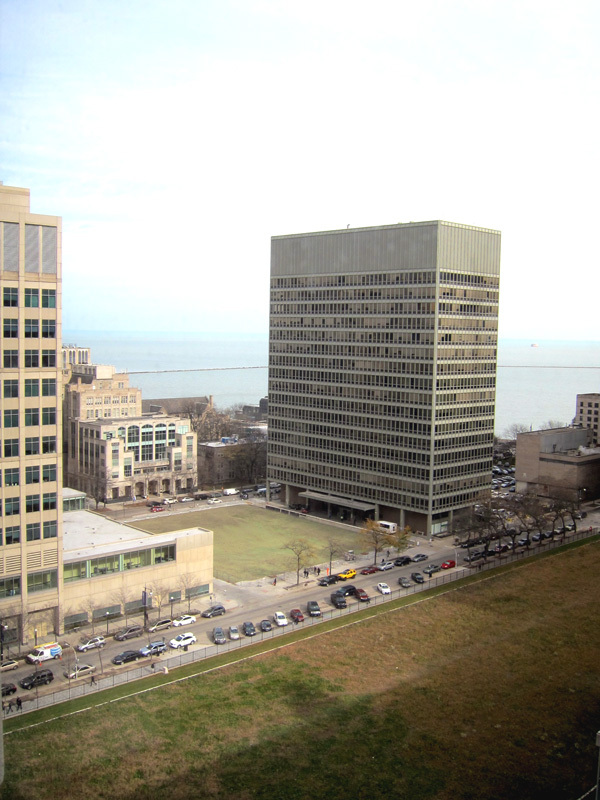 Often, these views are peopled with, well, people looking, which is chiefly what makes the experience so charming. 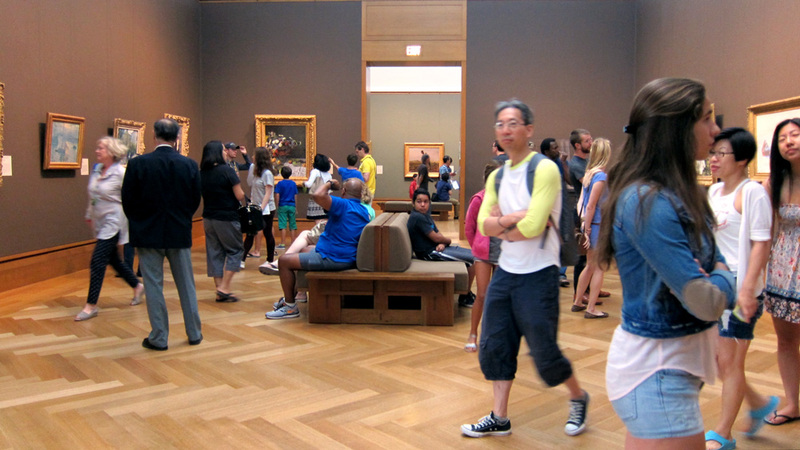 It isn’t just the beauty of nature, or the splendor of the Getty itself, but the spectacle of humans instinctively engaged in a cultural quest. A spirit of exploration and enjoyment prevails. Inside, the Getty is like any other museum. My priority was to see the painting collection, which is arranged chronologically in a chain of second-floor galleries. 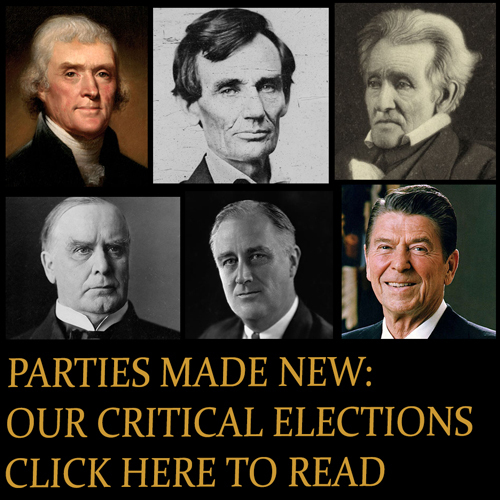 Since its inception, the Getty Trust has had a reputation for building its collections by being the top bidder for masterpieces, acquiring many gems to fill out the collections its founding patron bequeathed. The collection still has a thin institutional feel. It doesn’t convey the intimate thrill one gets from viewing the Phillips Collection in DC; nor does it offer the quirky bricolage of the best larger museums, where the passions of many individual collectors have given the collections distinctive shapes and strengths over time. Detail, “The Deposition,” by a follower of Rogier van der Weyden (circa 1490), The Getty Center, Los Angeles. Photograph by Susan Barsy. That said, the Getty’s holdings reward careful looking. Many of the paintings are glorious—the religious paintings, old Dutch and Flemish works, and some of the French paintings, particularly. Detail of Jacques-Louis David’s “The Sisters Zénaïde and Charlotte Bonaparte,” at The Getty Center, Los Angeles. 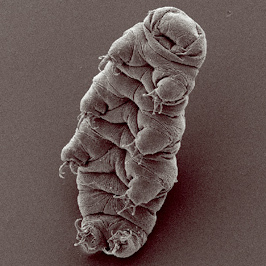 Photograph by Susan Barsy. The painting collection is strictly European and ends abruptly around 1870—just when art and society got interestingly messy. It is strange to see the story of painting told without anything modern or American. As it is, the permanent collection comports with the Center’s larger identity as a steward of an idealized world of order and beauty. Meanwhile, out in the garden, life goes on.